Bariatric (Weight Loss) Surgery is recognized by the National Institute of Health as an effective alternative for severe obesity and life-threatening conditions such as diabetes, asthma, sleep apnea, hypertension and coronary artery disease. Bariatric surgery is an option for those individuals who have failed to lose weight through non-surgical means and who meet the universal standards established by the National Institute of Health (NIH), which includes: body weight greater than 100 pounds overweight, a BMI greater than 40 or BMI greater than 35 with medical complications related to obesity, including high blood pressure, type 2 diabetes and sleep apnea. What are my surgical weight loss options? The most common procedures are the Adjustable Gastric Band, Sleeve Gastrectomy, Roux En Y Gastric Bypass and Biliopancreatic Diversion with Duodenal Switch (BPD/DS). The Band wraps around the upper part of the stomach, dividing the stomach into a smaller pouch and a larger lower stomach. By creating a smaller stomach pouch, the Band limits the amount of food that can be eaten at one time, so you feel fuller sooner and stay fuller longer. During the surgery, a thin vertical sleeve of stomach is created using a stapling device and the majority of the stomach is removed. Food passes through the new stomach tube directly into the intestines. The most common gastric bypass surgery, Roux En Y Gastric Bypass shortens the digestive tract by creating a small stomach pouch and attaches a section of the small intestine directly to the pouch. This allows food to bypass a portion of the small intestine, limiting the amount of food that can be eaten at one time. Your body also absorbs fewer calories as a result. BPD/DS is a procedure with two components. First, a smaller, tubular stomach pouch is created by removing a portion of the stomach, very similar to the sleeve gastrectomy. Next, a large portion of the small intestine is bypassed. As a result of the surgery, patients experience greater weight loss as compared to some other weight loss surgeries, and they can eventually eat near “normal” meals. What are the benefits and risks of these surgeries? • Each surgical procedure has its own benefits and risks. • Gastric band patients have shown a loss of 41% of their excess weight at three years. 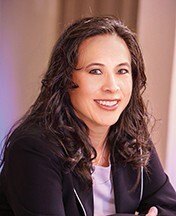 • Sleeve Gastrectomy patients have shown an average loss of 66% of their excess weight. • Gastric Bypass patients have shown an average loss of 75% of their excess body weight. • BPD/DS surgery results in weight loss of 70% or greater. As far as risks are concerned, weight, age and medical history will determine your specific risk. You should consult with your doctor if bariatric surgery is right for you. What do I have to do to prepare for surgery? You most likely will need a cardiology and pulmonology consultation and clearance, lab work and a chest x-ray, and go through a medically-supervised weight loss program prior to surgery. If you opt for Gastric band surgery, you may leave the hospital the same day or stay one night. The other two surgeries will require a two-day stay at the hospital. How much time will I have to take off of work after surgery? You will need 7-10 days to recover from band surgery versus two weeks to a month for a gastric bypass or sleeve. 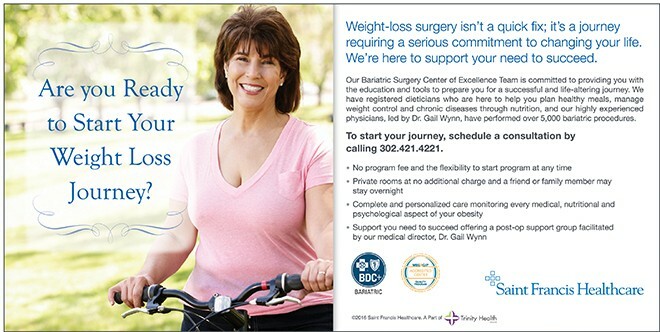 Review your insurance policy to see if weight loss surgery is included. If it is a covered benefit, it is your right to obtain the service in a timely manner. and mention the article in The Women’s Journal. Next Story → Resolve To Be A Life Changer!